Kidd Kraddick in the morning is the most listened to morning show in America and is heard over 75 radio stations across the country ! It's based in Irving, Texas. 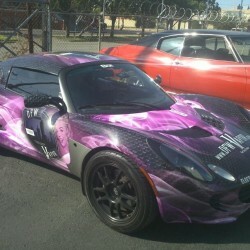 Guess who Kidd Kraddick and his team turn to when they need a vehicle wrapped? You got it, SkinzWraps! Great wrap that makes you feel as if you were underwater just looking at this truck! 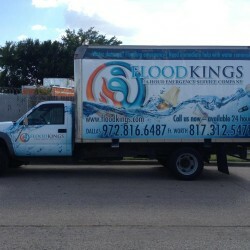 The design couldn't have been any more perfect for Flood Kings. Best of the best car wrap for the best of the best E-cigarette company which just happens to be in Lewisville, TX! We already know if you see the name Great Clips, you know exactly what it is. 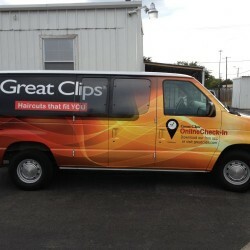 So now whenever you see this Great Clips van around Dallas, you know exactly who wrapped it!